Coconut lovers will swoon. 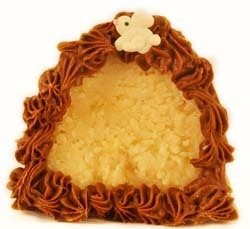 This is chewy coconut -- drenched in fine Swiss chocolate. Hand made at Dorothy's Candies. Dorothy's Candies are the best ! From Norma of North Versailles, Pennsylvania on 4/5/2018 . The VERY BEST Coconut Egg Anywhere ! From Sweet tooth of Buckeye, Arizona on 4/1/2013 . "Royale" doesn't do it justice! From Susan Fox of St Petersburg, Florida on 3/31/2012 .